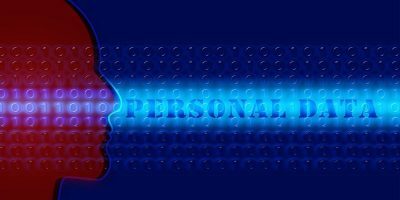 In this technology era, even if you are too busy to attend a school or academy, you can also make use of online courses (and online learning resources) to learn new stuff and improve yourself. 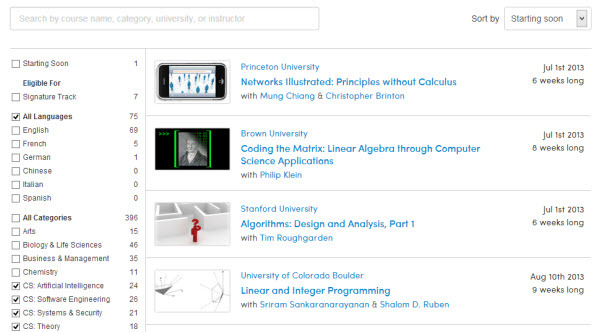 There are tons of courses out there, both free and paid, waiting for you to take them up. The problem is, how can you find the best course that you are most interested in and is the most value for money? 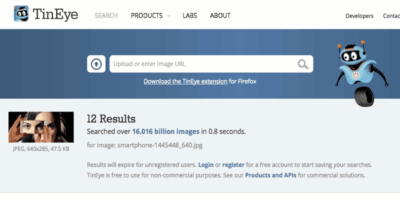 Here are a few search engines (not Google!) that you can make use of. Redhoop is an educational search engine which searches from online video courses offered by reputable online schools like The Khan Academy, Udemy, Lynda.com etc. From the homepage of Redhoop, you can search for any course of your choice or browse by category. The best thing about Redhoop is that you can filter your search results by pricing, category and schools. In this way, you can search for free courses and compare these courses with paid ones to see which one is more beneficial to you. Since Redhoop is just a search engine, it does not host any videos. Once you select the course and press the “Take This Class Now” button, you’ll be taken to the appropriate school’s website. Coursera is an educational search engine for advanced subjects and high level studies. 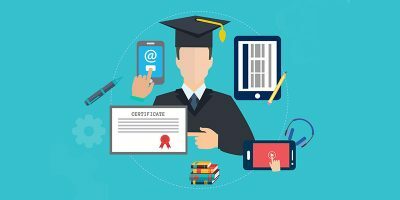 Coursera lists courses from reputable universities around the World. You can use the search field on the homepage or click the Courses link at the top to search for courses of your interest. You can filter courses by language and topic. Multiple topics can be selected by clicking on the checkbox of each topic. Once you have selected the course of interest, click on it and then press the “Sign Up” button to sign up for that particular course. 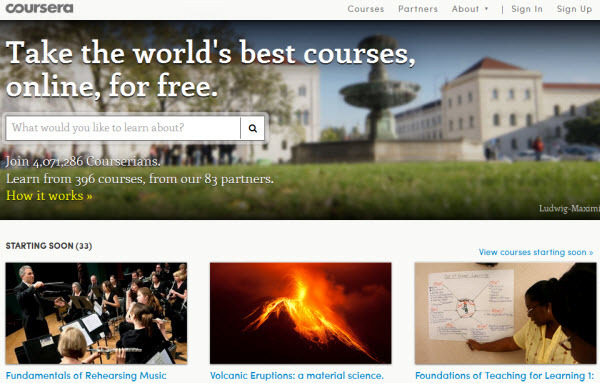 Coursera is different from other learning schools because Coursera will not give you instant access to the videos and other teaching material. Instead, you will need to sign up for each course which will start at the specified date and you will need to complete your assigned work to complete the course. Skilledup is another educational search engine for finding online video training courses. You can either search for a topic or click on the link “Online Courses” to browse through the list of available topics and courses. You can filter search results on Skilledup by course type and price. 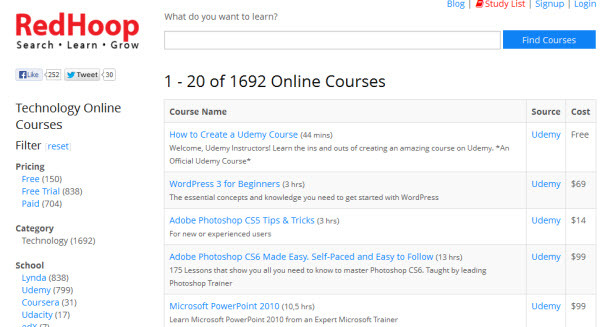 Once you have selected the course type and price, you can select a learning track from the top “Browse more courses” drop-down menu to further refine your search. Skilledup is just a search engine for finding online learning opportunities. It does not host any videos but will redirect to the corresponding site where the video is located. 1. 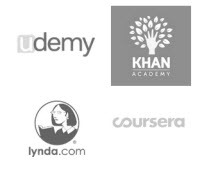 The Khan academy is a wonderful educational project which strives to change the education system completely. You can view videos for learning Match, Science and Computer Science etc. All the videos are free and are available on Youtube. 2. Youtube also has a complete section for online education, known as EDU. Needless to say, all videos on Youtube are free to watch. 3. TED also has a complete segment on online learning. It is known as TED ED – lessons worth sharing. If you are comfortable with reading ebooks, you should check out Wikibooks which is an initiative by Wikimedia (Wikipedia). All books are free to read. Now that you have the resources for taking your skills to the next level without enrolling into any school or academy, you should make use of these resources to your advantage. Although all search engines discussed above are useful, my personal favorite is RedHoop where I can find courses for sharpening my skills in computer related software and technologies. 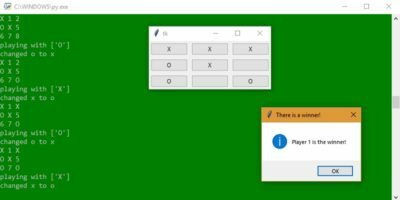 Have you ever used computer based training in the past? Tell us your experiences regarding online education. This is a great list. 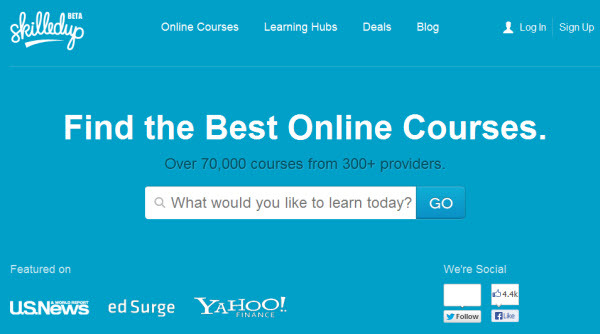 I never knew there were search engines for finding online courses. Wish I had known about these sooner! Whats the difference btw Skilledup and Redhoop? Seems like they are the same, with the exception that Skilledup has more course platforms, courses, etc. Great job. I’ve used Khan academy and Coursera to improve my skills, I think I’ll try Redhoop. I love learn and wathever web site where I can learn It’ll be very useful to me..